With proven experience delivering customer centric solutions ActioNet can design, deploy and manage scalable secure AWS cloud infrastructures across private, public and government clouds realizing the full utility power of cloud computing. Our full suite of ActioNetCloud service offerings provides the value added services and expertise customers need to realize the value of the cloud in support of their mission activities. Certified Partner since 1999, ActioNet has expertise in deploying the latest technologies including Data Warehousing/Business Intelligence, Database Management, Web Portal Development, and Operating System Platforms. ActioNet is a Salesforce Consulting Partner. As an invited speaker at two World Tours and counting, ActioNet brings proven experience developing cloud based applications enabling our customers to conduct market research, communicate with prospective partners, and for internal workflow, office automation and project management. ActioNet is a collaborative partner delivering innovative solutions on the Google Cloud Platform. We help organizations design and build custom applications, adopt managed services, and secure your GCP environment. We provide tools that make Cloud adoption easier and empower your use of G Suite as a productivity suite to work effectively and collaboratively. Call on ActioNet to deploy integrated solutions that include Oracle technologies, state-of-the-art engineered services, and cloud solutions. Leverage our experiences in deploying and managing one of the largest databases in the world. 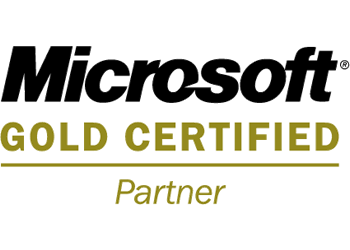 As a gold partner, ActioNet can also resell Oracle’s products and services. This ITIL based Service Desk provides a single point of contact solution that includes ticket creation, tracking and monitoring through ServiceNow. NSDesk is ActioNet’s first ITIL compliant contractor owned/contractor operated IT service management solution and a FISMA Moderate ATO. This offering is part of ActioNet’s Larger ActioNetCloud suite of services and offerings and allows customers to avoid up-front investment to build a call center from scratch. ActioNet has acquired and installed millions of dollars worth of Cisco equipment, including Routers, LAN and ATM switches, Remote Access/VPN servers, and Network Management Software. These products, integrated by the Cisco iOS software, link geographically dispersed local and wide area networks LANs/WANs. ActioNet and Verizon are partnered to bring state of the art cloud based and co-located data center support to multiple ActioNet customers. Leveraging Verizon’s 100% power and environmental guarantees, ActioNet is delivering DISMA authorized, private virtualized cloud computer services to major government agencies. ActioNet and HP have over 10 years of history partnering together to bring innovative and cost effective solutions to our customers. Our relationship spans a wide range of technology needs, from working together to plan, provision and support data centers, to bringing the latest in cyber-security monitoring utilizing HP tools such as ArcSight. A BMC Software, Inc. Product reseller and services partner, ActioNet has expertise in providing the latest technologies in including Remedy ITSM, Remedy On-Demand, Remedyforce, Discovery, Cloud and Mobility solutions to automate service desk services. A Bomgar product reseller and services partner, ActioNet has expertise in providing the latest technologies including remote control access of attended/unattended desktop, mobile device and server assets to reduce issue response and resolution time. A Right Answers, Inc. product reseller and services partner, ActioNet has expertise in providing the latest technologies including United Knowledge Management Platform and Knowledge Management Packs to provide self-help and first contact resolution IT support. We have partnered with Symantec to provide our customers with Enterprise Solutions that cover all aspects of IT Security including Virus Prevention and Detection, Intrusion Detection and Response, and Enterprise Firewall Implementation. As a process oriented, standards-based solutions provider, ActioNet recognizes the importance data standards have within the Health Industry. ActioNet is an active standards body participant with HL7 voting rights. HDI is the leading professional association and certification body for technical service and support professionals. Utilizing HDI certified Service Desk practices, we maximize effectiveness and create sustainable efficiencies, raising customer satisfaction, while lowering overall cost to deliver support. ActioNet is a Software Engineering Institute Transition Partner.